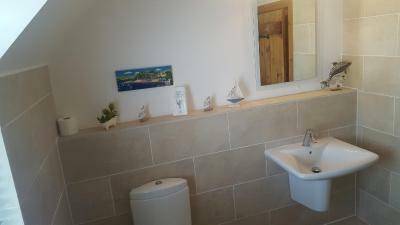 Lock in a great price for Breton House - rated 9.5 by recent guests. Amazing location & lovely hosts. Room was AMAZING. 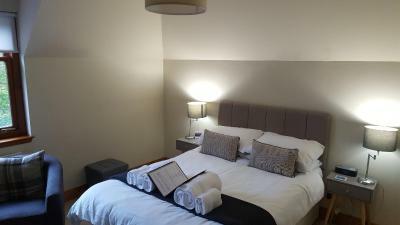 Lovely setting, comfy bed, tea and coffee making facilities in room and the lovely variety of breakfast available. 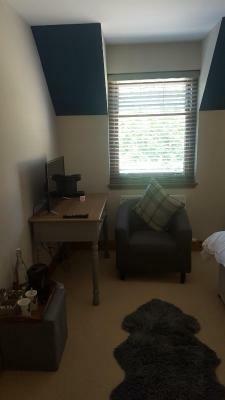 Fantastic room, clean with personality! A night cup was waiting for us upon arrival!breakfast was amazing as well! Couldn't be happier!! !Loved it!! Fantastic accomodation. Lovely room and breakfast! 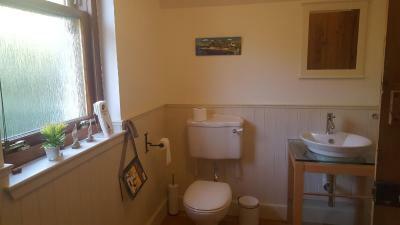 The guest house is in Portree, the main village in Isle of Skye, close to the centre. 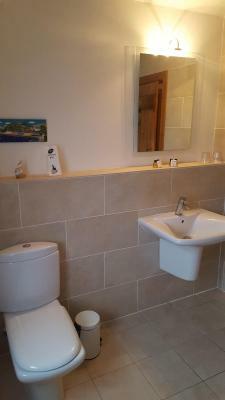 The room was fantastic, clean and with all the necessary facilities. The best part was the dining room, where you can enjoy a delicious breakfast in front of the sea. Very much appreciated attention to detail. Warm croissants with real butter for breakfast. Excellent breakfast choices. Quality soap in bathrooms. Fresh fluffy sweet smelling towels and bathrobe. 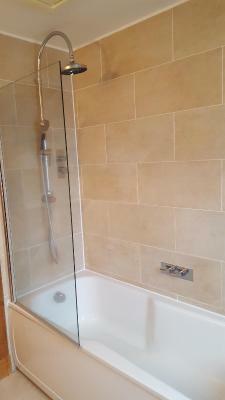 Fabulous shower. Warm friendly helpful manner from Mairi the host. Comfortable room and super breasfast. Great place to see hundreds of stars, just in the front yard. Mhairi and Andrew wonderful hosts , beautiful , warm and peaceful house with a modern very comfortable ,spacious and spotless ensuite bedroom with incredible views from the bedroom and breakfast table , delicious full scottish breakfast .Thoroughly enjoyable stay , will definately return , our hosts also own a restaurant called No 2 on Bayfield Road , food was delicious gorgeous soup and a whale of a fish yumm , What did we like we loved everything , a fantastic break , stunning scenery even though it was Baltic at this time of year . 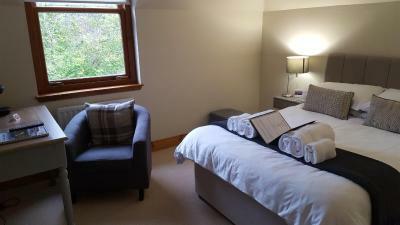 Well situated over looking the Portree water way, clean well serviced rooms,comfortable bed & pillows. Facilities were way above average and the rooms decor was bright and cosy. Beautiful property. Breakfast was excellent and our hosts were lovely. 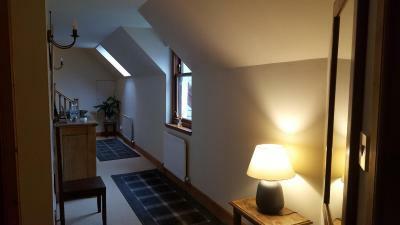 Located within 18 miles of Talisker Distillery in Portree, Breton House provides accommodation with free WiFi. 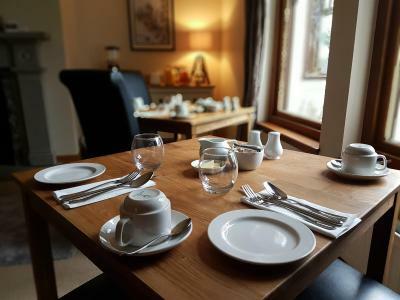 The bed and breakfast offers a continental or Full English/Irish breakfast. Guests can also relax in the garden or in the shared lounge area. 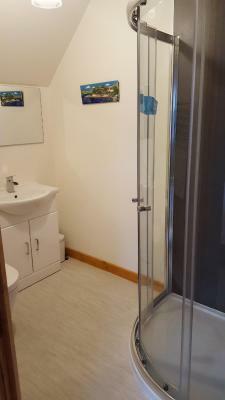 This property is also rated for the best value in Portree! Guests are getting more for their money when compared to other properties in this city. 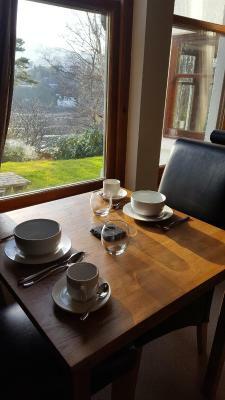 Breton House has been welcoming Booking.com guests since 19 Feb 2017. 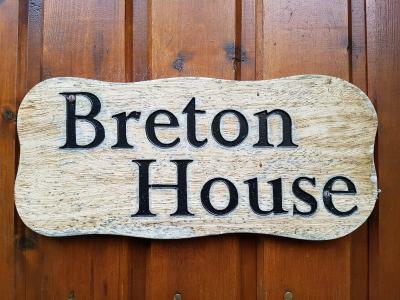 When would you like to stay at Breton House? 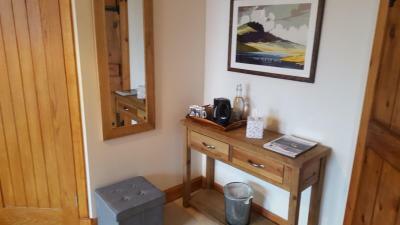 This triple room has a flat-screen TV, tea/coffee maker and iPod dock. 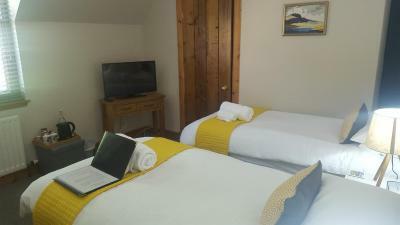 This double room features an electric kettle, a private bathroom located outside the room and an iPod dock. 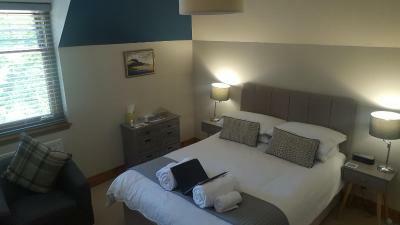 This double room has a iPod dock, sea view and electric kettle. 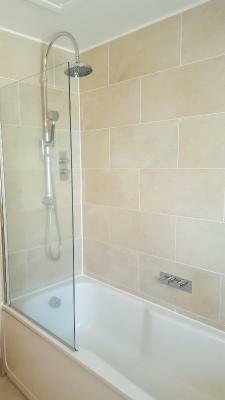 This family room has 2 separate bedrooms with a private external bathroom located between the rooms. Bathrobes are provided. House rules Breton House takes special requests - add in the next step! 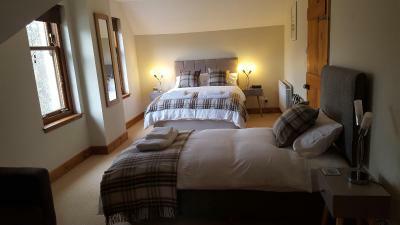 All further older children or adults are charged GBP 30 per night for extra beds. 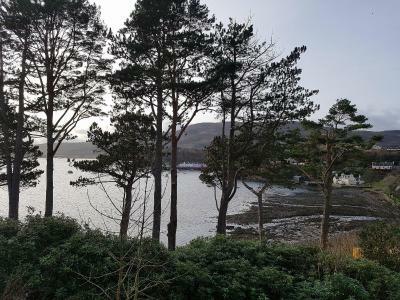 Please note that the check-in and key-collection take place at: Coolin View Guest House, 2 Bosville Terrace, Portree, Isle of Skye, IV51 9DG Portree. No hanging rail in wardrobe. The room was a family room but there were not enough drawers or storage. It was fine for two but needs hanging space. Some may find the drive steep. noise in the room 3 ( from pipe ) very disturbing for sleeping we booked an "apartment" with 2 bedroom and IS NOT an apartment, is 2 separate bedroom, I didn't see that the bathrom is separated ( to be fare it was written but i didn't check because it was suppose to be an apartment WITH 2 bedroom and not 2 separate bedroom with a bathroom in the same place with a third bedroom. 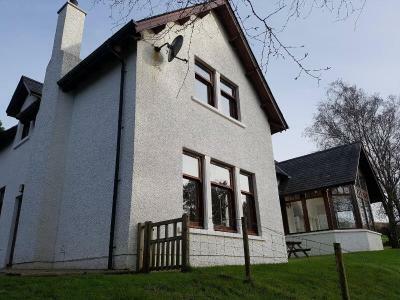 Four of us booked a three-night stay at Breton House for the Skye portion of our weeklong trip to Scotland during March Break. As soon as we arrived from the long drive from Glasgow, our hostess immediately made us feel at home by offering my husband some soothing throat medicine as he was nursing a cold. We were given two beautifully maintained private rooms with a shared en-suite bath and free access to the dining area, which was a large living-room downstairs with a sofa, tables where we could play cards and bring in our own suppers if we wished (which we did on the last two nights instead of going to local restaurants). We were also told to help ourselves to the local whisky blend that was available to guests. The breakfasts were generous and filling, and there were excellent vegetarian options for the two of us who didn't eat meat. 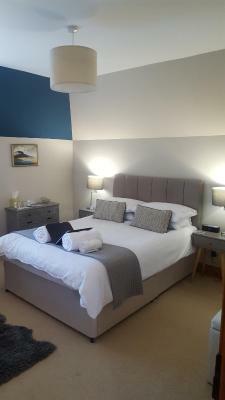 The rooms were clean, the service and attentiveness by Maire and her family was exceptional, and I would highly recommend this guest house to anyone considering a stay in Portree or looking for a base from which to explore Skye. 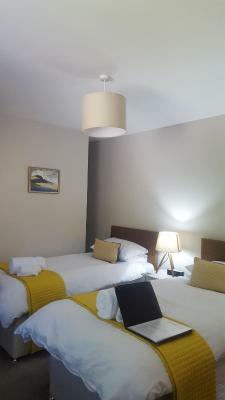 Being in such a warm and hospitable place within easy reach of all the natural attractions we wanted to see made our stay on Skye enjoyable and wonderful. Great place at a very reasonable rate. Thank you Maire for sharing your home with us so that we could have such a great time on Skye. 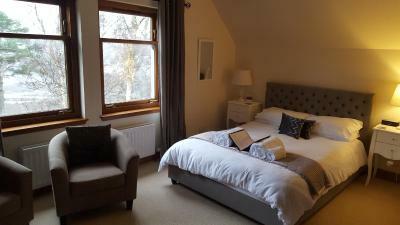 Superb location for exploring Skye and a fab place to stay! Will definitely recommend to family and friends travelling to Skye. There was nothing I didnt like. The owner was super friendly and accommodating. A beautiful home with views of the water. Super friendly, great breakfast, clean and comfortable rooms in a beautiful home, and of course the complimentary whiskey! The bathroom was a bit too cold. Breakfast. Clean rokm, great room. It’s about a 10 minute walk into town so was a little wet on a rainy night. 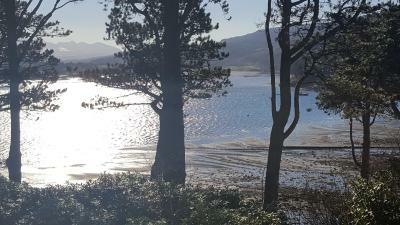 But would definitely chose to stay here again as it is a lovely walk if you don’t have any mobility issues. Great breakfast and sits up on the hill with a beautiful view! The beds were very comfortable. Our room#2 had a wonderful view. Ask for it. Modern bathroom amenities. 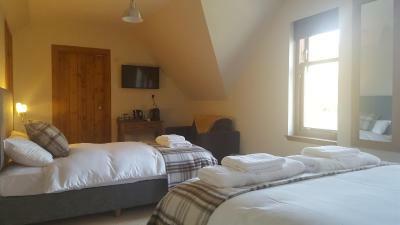 Spacious room with nice firm bed. Breakfast was very nice, tasty and filling. Outside of town but walkable into town. Whisky available for guests to help themselves in the evening, owner very friendly and recommended places for us to visit/ see on the time we spent on Skye. Facilities in room fantastic and view of the water from our room.